The first time I ever saw a camellia in someone’s garden, I thought I’d stumbled across a rose with unusual leaves. But once I started reading about these beautiful flowers, I realized I wasn’t the only one who’d made that mistake. A German botanist named Engelbert Kaempfer is credited for writing one of the earliest descriptions of camellias. 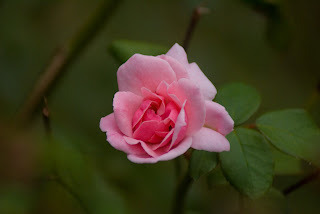 When he discovered them growing in Nagasaki in the 1690s, he called them Japanese roses’. A half-century later, in 1745, English author and naturalist George Edwards published a book of birds he’d drawn in various natural settings. One of them, Edwards wrote, was perched on the branch of what he called a “Chinese rose,” a plant we now know as a Camellia japonica. Although it’s only February, the camellias in my Douglasville garden are blooming, and if you’re in the South, maybe you’re already seeing yours open, too. Depending on the variety, camellias bloom from now until May in Georgia, and some will flower more than once. Although some camellia blooms look as lush and heavily petaled as roses, they’re not related. They’re members of the Theaceae, or tea, family, and they’re native to Japan and China. These evergreen plants have become very popular in the Southeast., where most of us value them as ornamentals for our garden, but the leaves of some species are still widely used in Asia for tea. If you’d like to add camellias to your garden, you can transplant potted plants in the spring. 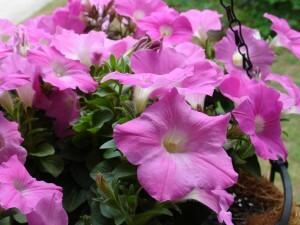 A partly shaded spot, with moist, well-drained soil, is ideal. If your soil stays too wet, try growing them in raised beds, about 10 to 12 inches higher than ground level. 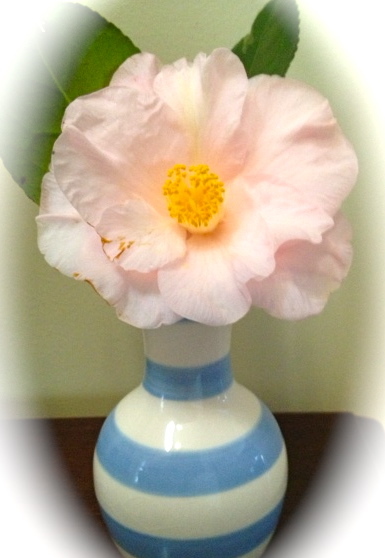 Camellias love acidic soil, too, so try planting them under tall pine trees. Dogwoods and azaleas make great companion plants. Give your camellias a good start by cultivating the soil 8 to 10 inches deep. Dig holes that are two to three times the width of the root ball, but no deeper than the root ball. Remove any sticks or rocks as you back-fill the hole, and press the dirt firmly around the plant’s roots. Water thoroughly to eliminate air pockets. Some experts say that you don’t need to add organic matter to the back-fill, but you can add 2 or 3 bags of compost if you’re gardening in a low area. Just mix the compost with your soil to create a mound, to help keep the camellia’s shallow roots from standing in water. Finish by adding about 3 inches of mulch, such as pine straw or pine bark, to help prevent weeds. Camellias aren’t heavy feeders, and while specialty fertilizers are available, an 8-8-8 or 10-10-10 formula is usually fine Apply a tablespoon of fertilizer per foot of plant height in spring, summer, and fall until the camellia is well-established. Then you can feed the same amount, but twice a year, in spring and summer. Water weekly the first year after transplanting. As the years go by, remember that because camellias have shallow roots, they can succumb to drought quickly, so water as often as the soil around your plant feels dry. After the flowers are finished, camellias can be pruned to remove dead wood and allow light and air into the plant’s interior. For all their beauty, these plants are susceptible to various diseases and pests, including mites, scale, die-back, and sooty mold. But don’t let that scare you away. Proper cultivation—that is, keeping the garden clean, and removing old leaf litter– goes a long way towards success. Are your roses looking pretty sad and dreary by now? Here in the Atlanta area, the bushes and climbers are just about finished. Black spot has done its dirty work, making our roses drop their leaves and slowing their flower production. There’s not much we can do to perk them up again. The first cold snap is coming soon, and it’s too late to fertilize. We stop feeding our roses in August around here, because we have to discourage any new growth. They need the next few weeks to harden off for the coming dormant season. 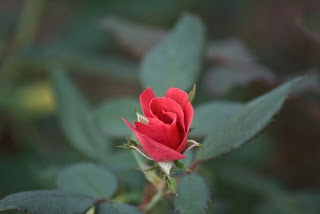 But ahhhh….we went to Statesboro to visit our son, who goes to college there, and found that their roses still in beautiful bud and blooms! Of course, the climate south of Atlanta is much warmer, and there have been some recent rains that encouraged the plants to put out a fresh flush of blossoms. Hope you enjoy these pictures, which we made during out trip. We didn’t see any identifying labels on the plants, but you can oooohhh and ahhhh just the same. I recently did some research on how to care for roses for a magazine article I’m writing, so I’d like to share some tips with you. If you crave a rose garden for next year, start planning for it now. You’ll need to select a spot that gets nearly full sun all day, although your plants will appreciate a bit of light afternoon shade, when summer temperatures are at their hottest. Otherwise, the sun can scorch your rose leaves and fade the colors of their blooms. Dig your soil deeply, and add amendments like compost or peat moss to help loosen any heavy clay. You can also add these materials if you have sandy soil, to help the ground hold precious moisture, since sand drains fast. If you can build raised beds and fill them with good organic material, that’s great, too. 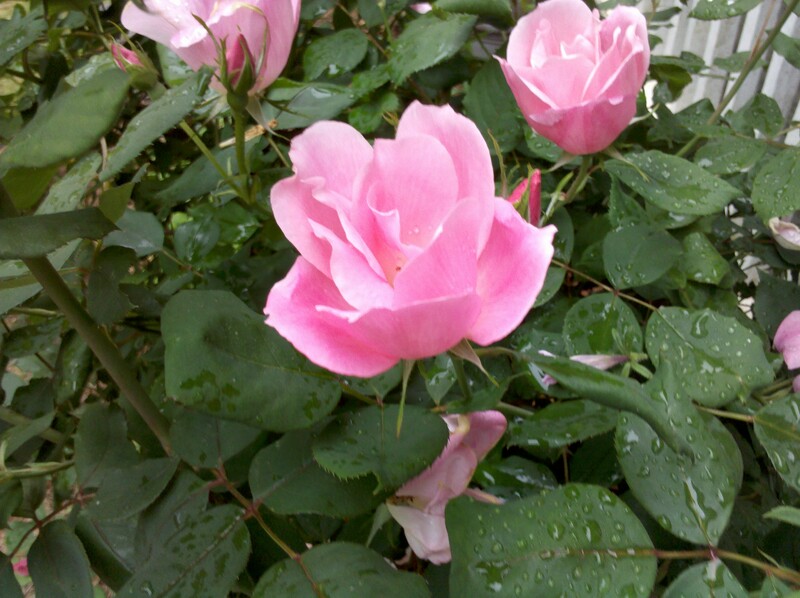 From late fall into very early spring, go ahead and buy bare root roses for your new beds. You’ll find the bare root plants sold either in cardboard cartons, or in long, narrow, plastic tubes stuffed with moistened packaging materials. I’ve had good luck with both mail order roses as well as those sold by local garden centers and nurseries. 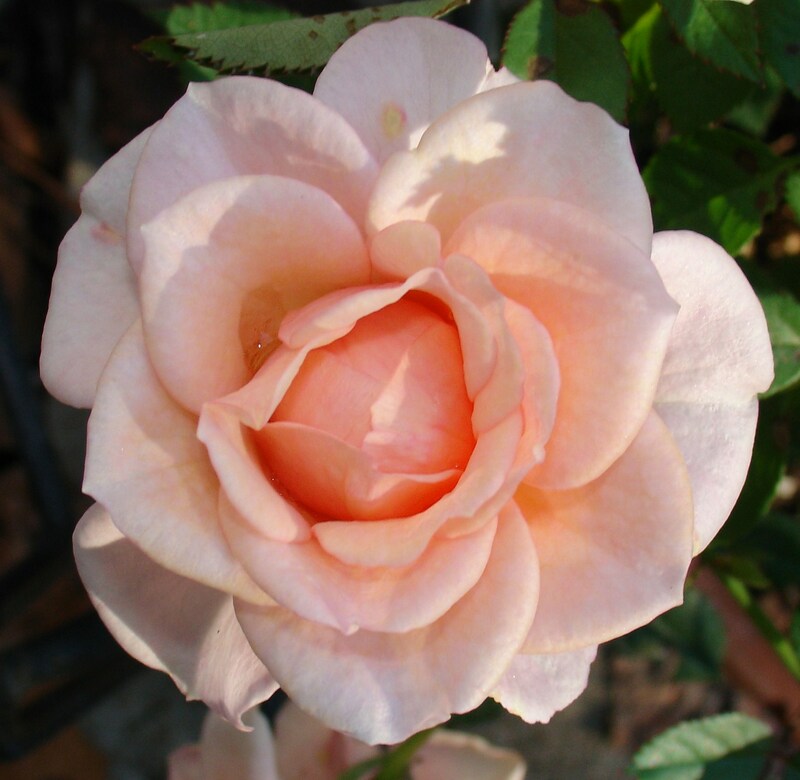 Before you plant the bare root roses, give them a nice soak for a few hours in a tub or bucket of tepid water. This will help any shriveled canes and roots plump back up again. Pick a day when the soil isn’t frozen to plant (of course–otherwise, your shovel will bounce off the rock-hard ground!). Refill the hole with a cone-shaped mound of soil, and put the plant on the of the cone so that its roots dangle loosely down the sides. Finish filling the hold and water well. When the temperatures start to warm up again, and new growth appears as tiny, green leaves, it’s time to add some fertilizer. I like the kind with a systemic insect control mixed in, to help prevent damage from black spot. Water deeply and regularly, and watch for your beautiful blooms to open as spring progresses. Roses and springtime…how can you beat that combination?